In past meetings, Trump and his aides reportedly criticized Palestinian President Mahmoud Abbas and his government for hate speech and incitement. 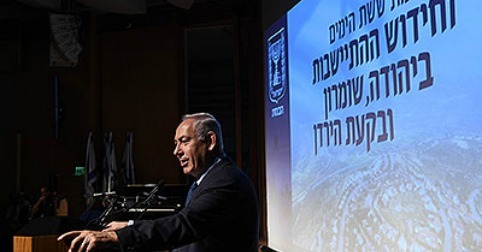 He also asked Prime Minister Netanyahu to “hold back on settlements,” but seems to have done very little to get Netanyahu to restrain West Bank settlement activity and other anti-peace actions. Indeed, Netanyahu and his right-wing coalition have scoffed at Trump’s call and plowed ahead with the settlement enterprise. 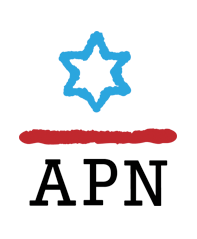 Click here to tell Trump to Demand that Netanyahu’s Government Stop Actions that Hinder Peace Efforts. Endorsing the construction of Amichai. This is the first new “official” (government-sanctioned) settlement since 1992. Amichai serves the settlers of Amona, an outpost built illegally by West Bank settlers, without government approval, which was dismantled by order of Israel’s Supreme Court because the settlers built it on privately owned Palestinian land. Failing to evict settlers in Hebron from the Abu Rajab House. Israeli Civil Administration ruled against settlers’ claim that the settlers had purchased the home (which they call “Beit HaMachpela”) from its Palestinian owner. However, the government has yet to force the removal of settlers from the property they hope to convert into a new settlement in this highly volatile city. Endorsing a Knesset bill that would expand Jerusalem’s municipal borders. 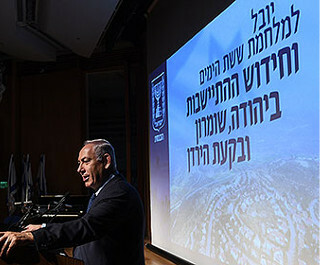 The bill purports to include major settlements surrounding the city, including the large settlement of Maale Adumim, Givat Ze’ev, Beitar Illit and Efrat. This measure would annex these settlements to Jerusalem, but would not (yet) bring them under full Israeli sovereignty. Netanyahu last month indicated that he endorses this bill. Recklessly alienating Jordan’s government and people. Netanyahu’s ostentatious public embrace of an Israeli embassy security officer, who shot dead two Jordanian civilians after one of them allegedly stabbed him with a screwdriver, deeply embarrassed Jordan’s King Abdullah and angered Jordanians. The King had defied Jordanian public opinion in allowing the officer to return to Israel. Abdullah and the Jordanian people are key allies for advancing Israeli-Palestinian peace. Settlements in Focus (July 22, 2009): "Abusing Jerusalem to Assail Peace: the Case of the Shepherd's Hotel"